Should the voting age be changed to 16? Why should women consider “freeing the girls”? Should Tucker Carlson be banned? What are your thoughts regarding the recent Ivy league college admission scandal? 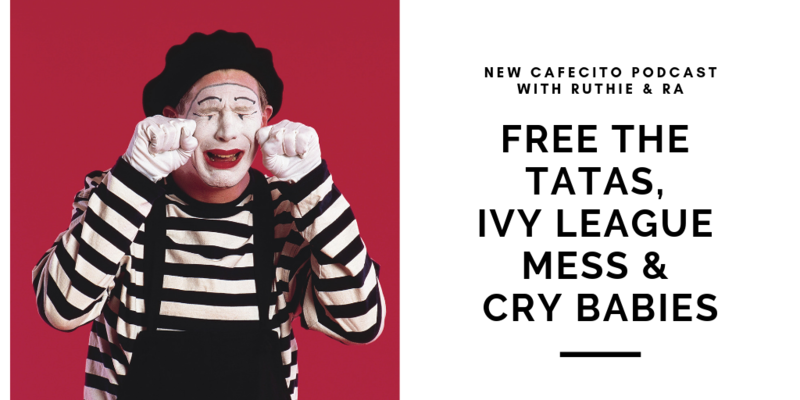 Ruthie and RA chat these hot trending topics plus… Question of the Week with responses from our Cafecito tribe. We invite you to listen below. Don’t forget to Like, Share, Subscribe! You are invited to participate in our question of the week. Be sure to check @cafecitobreak via Facebook or Instagram. Gracias! see you next Monday at 11am!